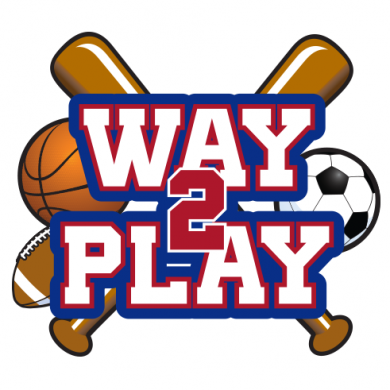 WAY2PLAY is an all-inclusive program offering school break camps and after school enrichment classes. At WAY2PLAY each child has the opportunity to meet new friends in a positive environment where success is measured by effort and teamwork and not by winning and losing. While WAY2PLAY strives to challenge each and every child, we want to preserve the enjoyment of play. Our goals are to teach and instruct, but also and more importantly, provide a fun and exciting atmosphere where children feel safe enough to take risks. If each child enjoys their experience enough to want to participate again then we have succeeded. Way2Play summer registration is now open! 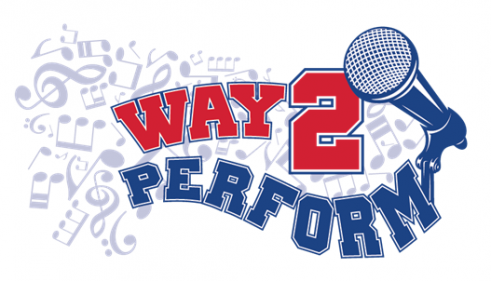 Way2Perform summer registration is now open! Way2Cheer summer registration is now open! We are so glad to have sent our kids to this particular camp. They came home each day exhausted, telling stories of the activities they participated in and of the friends they made. The kids loved the food that was served at lunch, which is always great to hear. This is a camp we plan to attend in the future and is, without a doubt, one of the best values in Smyrna, Ga. Thank you so much Coach Homansky and the rest of the team at Way2Play! So glad to have found a camp that is close to home, has extended hours, includes sports and academic enrichment, AND provides a wonderful hot lunch for the kids. Coach Homansky is very dedicated to his students and I’m grateful that he spends his summer putting this camp on. My boys had a blast. They had huge smiles on their faces when they talked about camp and were exhausted at the end of the night from all the activity. This was our first week at Way2Play and we will definitely return next summer. My boys love Way2Play camp! They rave over all the games they get to play. They were honestly hesitant about the Math Wizard… for this is their summer break. They did not want to do school work. They ended up coming home excited about what they did during the math enrichment time! The chess enrichment apparently has been a blast too! I cannot say enough wonderful things about this camp! Thank you Coach Homansky for providing such an amazing time for my boys this week! You and your counselors are rockin’ awesome! Thank you, Coach Eric & team, for giving our kids such an awesome place to spend a week. My son had a blast. From the parent perspective, this camp is about as easy at it gets — convenient location, easy drop off & pick up, daily email with updates on what the kids did that day and what is coming up the rest of the week. We’ll see you next year for sure!! We loved this camp. It was a great way for our daughter to be active, increase confidence in physical skills, make friends and stimulate her mind. The staff is great and Coach Homansky truly cares and creates an environment to help your child thrive. My son and daughter attend this camp and they LOVE it! A great combination of sports, academics and healthy food. My daughter is very hard to impress and she said today that she LOVES this camp! Coach Homansky and the staff are great with the kids! Coach Homansky and the staff did it again! My boys totally enjoyed themselves. I’ve never had them ask to go to camp! Great work guys! My son loves this camp! He comes home with stories of all of the awesome games they play and has had an absolute blast. The Coaches do a great job of making sure the kids are having a great time and even take it a step further to summarize in a nightly email all of the fun events they did. Don’t think twice – your kids will love it and as a parent you will too! Way2Play is a well organized camp that my son looks forward to going to. The staff is always friendly and professional. The lunches are convenient, nutritious and kid-approved. My favorite part of this camp is the daily recap and overall great communication.